Ahhh. The kids are in bed, time now for a sit down with my favourite Tea. Working lots currently so not much time to crochet but I did make this Cowl (Simple speedy cowl by Melissa Mall pattern here ) the other day for someone special. This one is smaller than I think would be ideal though - oh well, good excuse to get the hook out again. 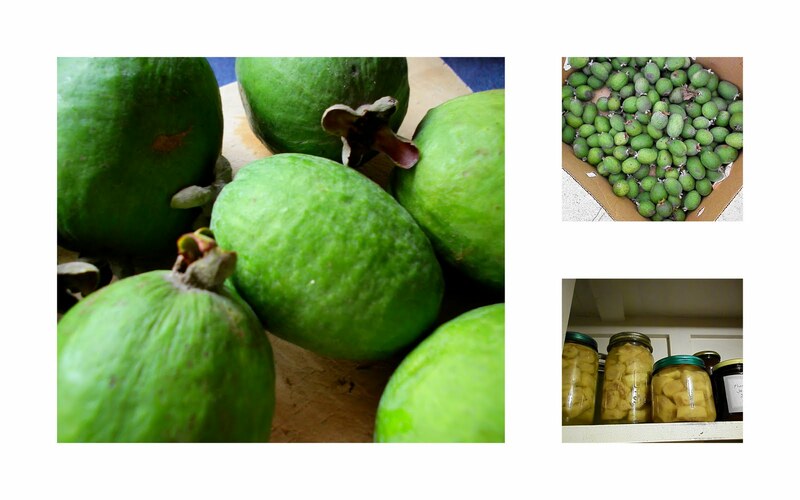 My favourite thing at the moment has to be Feijoas. Mmmmmm the aroma is divine, we are lucky as our wonderful neighbours tree ripens before ours so we get tons from them and then our ripen once theirs are gone. I spent the weekend bottling and baking them. 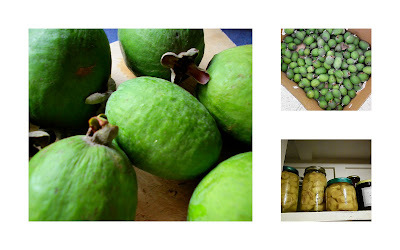 Feijoa Loaf, Feijoa Ice-Cream. Delicious!!! We got a good second hand score as well, a collection of little classics for $10. All my old favourites like Wuthering Heights, Pride and Prejudice and a few to keep The Chief happy like Treasure Island. They look great all on top of the bookcase in the study. I do love a cup of tea when everyone has gone to bed! Great cowls, I was sorting through all my UFO's earlier and joined up a few too-short scarves to make some cowls.